The month of April focuses on Sexual Assault Awareness in all communities – SAAM, in 2013, focuses mainly on sexuality and child sexual abuse prevention. â€¢ Nearly a quarter of young adults (24.1%) experienced sexual abuse (including contact and non-contact), by an adult or by a peer during childhood. â€¢ One in six children aged 11-17 (16.5%) have experienced sexual abuse. â€¢ Almost one in 10 children aged 11-17 (9.4%) have experienced sexual abuse in the past year. Teenage girls aged between 15 and 17 years reported the highest past year rates of sexual abuse. â€¢ One in nine young adults (11.3%) experienced contact sexual abuse during childhood. â€¢ One in 20 children aged 11-17 (4.8%) have experienced contact sexual abuse. â€¢ Two thirds (65.9%) of contact sexual abuse experienced by children aged 0-17 was perpetrated by someone aged under 18.
â€¢ More than one in three children aged 11-17 (34%) who experienced contact sexual abuse by an adult did not tell anyone else about it. â€¢ Four out of five children aged 11-17 (82.7%) who experienced contact sexual abuse from a peer did not tell anyone else about it. â€¢ Statistics show that more than 400 children are sexually abused every week in Britain, that’s one every 20 minutes. â€¢ 1% of children aged under 16 experienced sexual abuse by a parent or carer, and a further 3% by another relative during childhood. â€¢ 11% of children aged under 16 experienced sexual abuse during childhood by people known but unrelated to them. â€¢ 5% of children aged under 16 experienced sexual abuse during childhood by an adult stranger or someone they had just met. â€¢ In total, 16% of children aged under 16 experienced sexual abuse during childhood. 11% of this was contact abuse and 6% was non-contact. â€¢ Overall, 11% of boys aged under 16 and 21% of girls aged under 16 experienced sexual abuse during childhood. 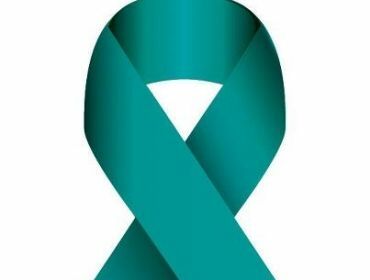 â€¢ The majority of children who experienced sexual abuse had more than one sexually abusive experience; only indecent exposure was likely to be a single incident. â€¢ Three-quarters (72%) of sexually abused children did not tell anyone about the abuse at the time. 27% told someone later. Around a third (31%) still had not told anyone about their experience(s) by early adulthood. â€¢ More than one third (36%) of all rapes recorded by the police are committed against children under 16 years of age. â€¢ A study which examined police data on rapes committed against children found that children under the age of 12 were the most likely of all those aged 16 and under to have reported being raped by someone they knew well. â€¢ Children under the age of 12 were least likely to have been raped by a stranger. Children between 13 and 15 years of age were the most likely to have reported being raped by an acquaintance. For the children who experienced sexual abuse in the family, the most common perpetrator was a brother or stepbrother: 38% of penetrative/oral acts of sexual abuse in the family were by a brother/stepbrother. â€¢ 23% were perpetrated by a father. â€¢ 14% were perpetrated by an uncle. â€¢ 13% were perpetrated by a stepfather. â€¢ 8% were perpetraed by a cousin. â€¢ 6% were perpetrated by a grandfather. â€¢ 4% were perpetrated by a mother. For the children who experienced sexual abuse outside of the family, the most common perpetrator was a boyfriend or girlfriend. You can find more statistics, information, campaigns and support on the Home Office website. Are you aware Wicid.tv is CEOP certified – CEOP is a police scheme which allows users of websites to report abuse confidentially online. Just click on the CEOP logo in the bottom-right hand corner of the screen. If you have any issues or you know someone who needs support and advice, you can contact MEIC for support 24 hours, 7 days a week confidentially. For more information you can contact the Child Protection Officer in Rhondda Cynon Taff on 01443 744000.